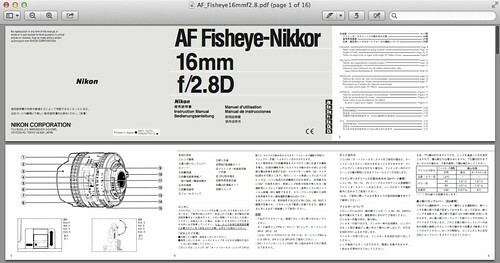 Download the Nikon 16mm f/2.8D AF Fisheye Manual (PDF link). 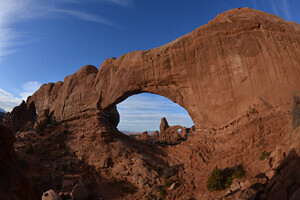 An official, full-resolution sample photo taken with a Nikon D600. Quick Review of the Nikon 16 mm F/2.8 Fisheye Lens at PhotoFocus — Scott Bourne really likes the lens for the sharpness, high optical performance and overall creative possibilities it offers in a small and lightweight package. For the money, this lens is a very good value, particularly because of its performance, it’s low weight and its reasonable price to performance ratio. If you’re a full-frame Nikon shooter, this is the fisheye you want. Bayonet-type filters L37C, A2, B2, O56 — The filters section in Ken Rockwell’s 16mm Fisheye review goes into great detail on the supplied filters and has nice pictures showing how the filters look like and how they are fitted to the rear of the lens. 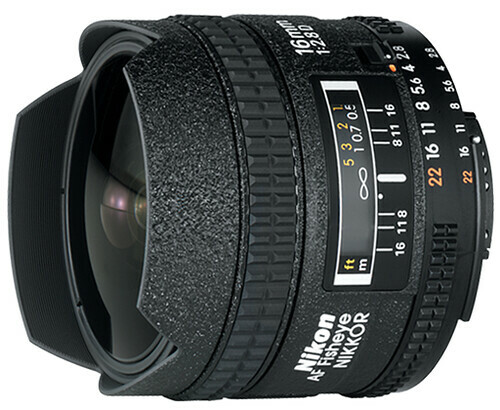 The full list of compatible accessories is available at Nikon USA and in the lens manual.